It was an evening Joyce Hinton won’t soon forget. For years the Chan Centre co-managing director had wanted to present Anda Union, a folk music group from Inner Mongolia, and finally in 2017 the stars — and tour schedules — aligned. The group performed its stunning evening concert in the Chan Shun Concert Hall; earlier in the day, they held a traditional dance and throat-singing workshop that drew dozens of enthusiastic participants. Not only were Vancouverites deeply impressed with Anda Union’s Canadian debut: the performers were so touched by the warm reception they received that, at the end of the night, they offered gifts of scarves, jewellery and wine to Hinton and her staff, and serenaded them backstage with a traditional song of gratitude. Every year, Hinton travels the globe, seeking top artists for the Chan Centre Presents concert series. Some are huge stars; others are on the cutting edge. At the same time, concert promoters and community organizations from all over the Lower Mainland have presented events at what has become one of the most sought-after venues in the city. Over the years there have been hundreds of extraordinary moments. There was the time Canadian dance troupe PPS Danse honoured Lhasa de Sela in a stunning tribute that moved the audience to tears. Or the time Elvis Costello sat on the stage with CBC’s Stephen Quinn and shared personal stories about his musical career and early life growing up in London. Herbie Hancock played with Wayne Shorter, and the house was packed to the rafters with jazz fans — among them Canadian music icon Joni Mitchell. (At the time, Managing Director Michael Noon told Mitchell he would love for her to perform at the Chan Centre, and she reportedly replied, “Well, I paint now.”) During a city strike, opera star Dame Kiri Te Kanawa made a last-minute switch from the Orpheum to the Chan Centre and performed two Vancouver Recital Society concerts, treating fans to an unforgettable evening. Each year over 400 men gather on the Chan Shun Concert Hall stage for the Chor Leoni VanMan Choral Summit, where the room’s acoustics are put to the ultimate test. Then there are the smaller in-between moments, many of them tied to education — like the time a handful of bass students huddled in a dressing room taking in advice from Edgar Meyer, or a music student showed cellist Yo-Yo Ma the most acoustically perfect spot on the stage, or a school-aged trumpet player stood in awe as he met his idol Wynton Marsalis. Artists regularly visit classrooms and offer talks and demonstrations, while UBC professors provide concertgoers with musical and cultural context at pre-show talks. Composition students also get in on the action by creating and performing Chan Centre-commissioned fanfares in the lobby. 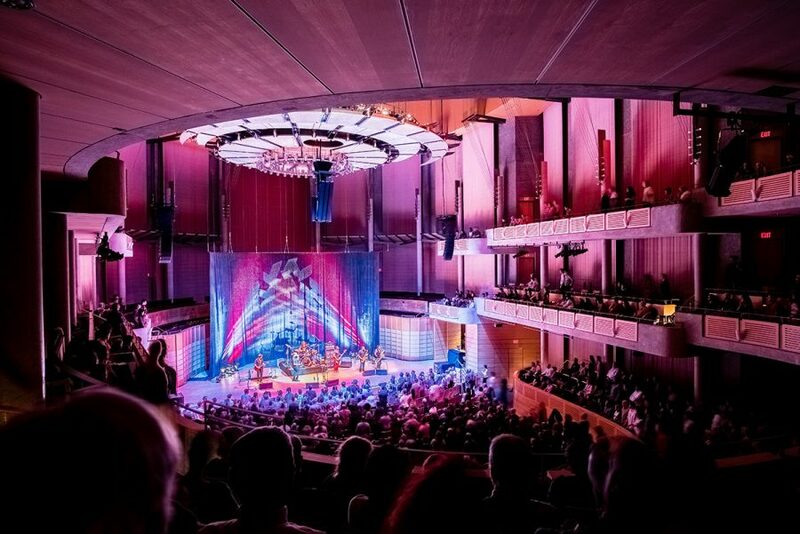 A truly international venue, the Chan Centre has played host to myriad musical genres from across Asia, Africa, Europe, Central and South America, Australia, and even the Arctic. says Hinton, who has been with the centre from the start, and remembers visiting the site in a hard hat and steel-toe boots.